While mobile and cloud technologies are enabling employees to work from anywhere, anytime, most of us still report to an office every day. Employees spend significant time in these spaces—and the way they are organized can impact the ways employees interact with one another, perceive hierarchy, and complete their work. 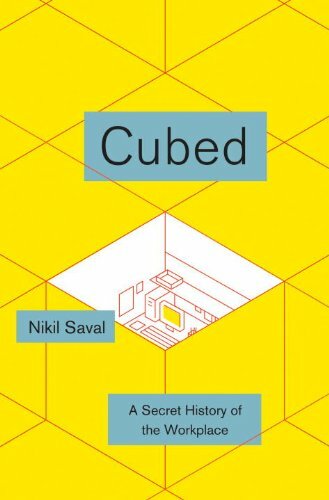 In his new book Cubed: A Secret History of the Workplace, Nikil Saval explores the history of the cubicle and its effect on worker mentality. Today, the cubicle is often associated with drudgery and oppression—an idea Saval thinks is largely overstated in popular culture. The cubicle became a symbol of an oppressive workplace because the years that the cubicle rose to dominance were also years that the workplace, in many ways, became more oppressive. It really took off in the 1980s and 90s, when mergers and buyouts took over the headlines, and layoffs became commonplace (the original meaning of the word ‘layoff’ was just time off from work — not mass, somewhat indiscriminate firing). These were the years when the cubicle began to seem less like a space for exerting autonomy and independence, and more like a flimsy, fabric-wrapped symbol of workplace insecurity. Of course, companies must consider more than just employee satisfaction when choosing an office layout—resources, available space, and fluctuating company size. Saval’s research raises big questions about the importance of office design: How valuable is a space tailored to a company’s unique needs? How much does office design influence employee productivity? Do the rewards of a better office plan (i.e., more satisfied employees) justify significant time and monetary investments in developing it? This entry was posted in News and Analysis and tagged Employee satisfaction by Adrianna Gregory. Bookmark the permalink.